Location Arkadi Hotel is only 200 metres away from the entrance of the famous medieval town the Venetian harbour of Chania. 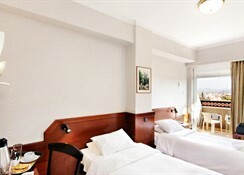 It is an ideal location for guests who want to discover Chania and its region. 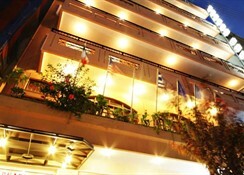 This is a three star hotel located at Square 1866, one of the most central squares of Chania. 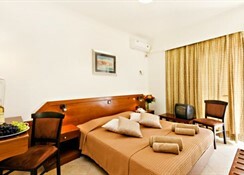 Facilities The hotel consists of 64 rooms equipped with modern amenities. It offers a 24 hours reception, a Lounge area, Bar/ Café, a TV area, Internet and fax services (upon request). Room service is also available as well as laundry service (at a surcharge). Underground parking for a limited number of cars is provided (uppon request) and free of charge. 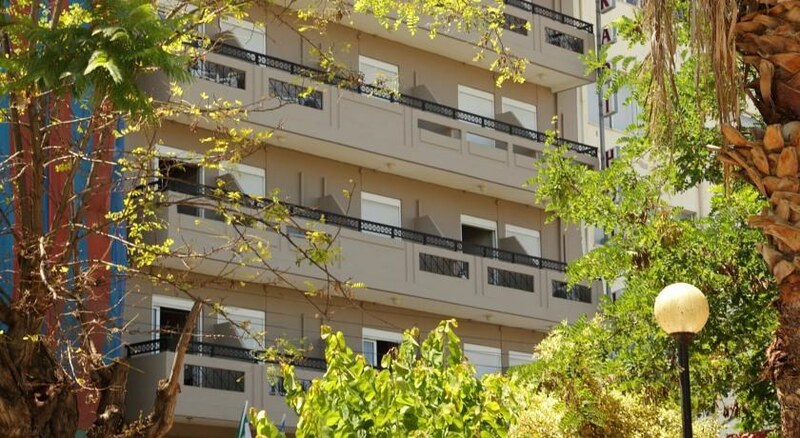 Rooms All rooms are fully isolated from all external noise and consist of: air-conditioning (free), a private bathroom, safe deposit box, hair dryer, refrigerator sat TV, direct-dial telephone, a private Balcony and Non smoking rooms. A small breakfast buffet is provided in the breakfast room. Payment All major credit cards are accepted.